Using social media to market your business may seem pretty clear-cut, but that’s not quite so. That point is especially true when it comes to a platform like Twitter, which can be used in many different ways. The problem with such an open-ended platform is that some practices may not be ideal in terms of generating interest and exposure for your business. Sure you can use Twitter to blindly promote products and services, but that’s not exactly the best way to go about utilizing an account. It all brings to light one rather blatant question, how exactly do you use a Twitter account to its full potential? This is a point that is relevant to anyone using Twitter, or any social media platform for that matter. The whole point to social media is to expand your reach, both in terms of sharing content and building a strong follower base. You’re not going to pick up a million followers overnight instead you need to work hard to achieve a goal like that. In order to continue reeling in followers and broaden your audience, you need to be networking and posting on a continual basis. Perhaps more important than producing regular content is the fact that you have to continuously get out there and seek out potential followers. As a business, if you just sit around and let everyone come to you then you may never increase your exposure. Realistically, it would take years to gain a strong follower base that way. On twitter, you need to constantly follow other accounts. In addition, you need to engage your followers by interacting with them as much as possible. Social media networks offer a totally new avenue for customers to share experiences and opinions. If you have a steady stream of business in the real world, then you better believe someone is tweeting or talking about your brand. The results of those discussions can be both positive and negative. As a business, even if you choose not to partake in such discussions you need to at least be aware of them. What are your customers saying about your brand or products? What kind of experiences are they having, and is there a visible pattern? If you’re not using your Twitter account for some form of customer service or damage control then you’re doing it all wrong. Interesting content is constantly being tossed around the Twittersphere. If you have news to share about your business, rumors to squash, or even sales and promotions to announce use Twitter to do it! Not only will this generate a potential buzz surrounding your company, the topic may even earn enough attention to be in the Twitter trending spotlight. You see, once a subject has generated enough buzz it lands in the list of trending Twitter topics. If that happens, it’s immediately shared with the entire network of Twitter users which translates to ridiculous exposure rates for your brand. Don’t be afraid to try something new and unique. You could launch a [tasteful] campaign that mimics a customer using your products, describing all the great experiences he or she has with your brand. Dedicate an entire account to offering sound advice with links back to your own products. Or, create a fictional character to tell a story and garner widespread interest. For example, if your company sells custom sewing tables, you may want to create a persona that enjoys crafts and can share some tips for sewing and other activities. You have to appeal to your audience. 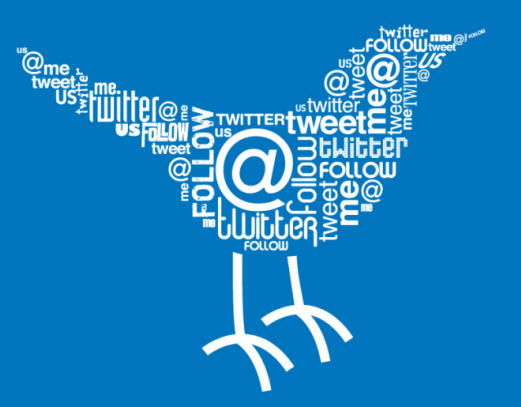 Twitter isn’t just a marketing platform it can also serve as a great advertising medium. Think of it as a relatively inexpensive billboard, conveniently placed over an international boulevard. If you’re too afraid to get your business and brand out there to the masses, then you’re definitely using your Twitter account wrong. Hello, of course this piece of writing is really good and I have learned lot of things from the article regarding Twitter. Thanks. I much prefer LinkedIn over Facebook and Twitter. Facebook’s negative is that it has become too big, which is also it’s positive, and Twitter is just filled with spam.